Good afternoon, backers! We have some exciting news to share in today's update. Designer Touko, Lautapelit.fi, and Kolossal have been working daily to integrate as much of your feedback into the campaign for Second Dawn. Our hope is to best align our goals for Eclipse with what fans love and want out of this new core experience. The Galactic Counselor pledge level will now include a brand new rules module for Minor Species. These 9 tiles allow players to forge alliances with exotic alien species much in the same way they do with other players. Diplomatic relations with a Minor Species can be formed at any time on any of your turns. Pay the Money cost shown on the Minor Species Ambassador tile and place the tile on one of the free spaces on your Reputation Track. The ability of the tile is immediately in effect. You are allowed to have multiple Minor Species Ambassador tiles. You are not allowed to discard them. 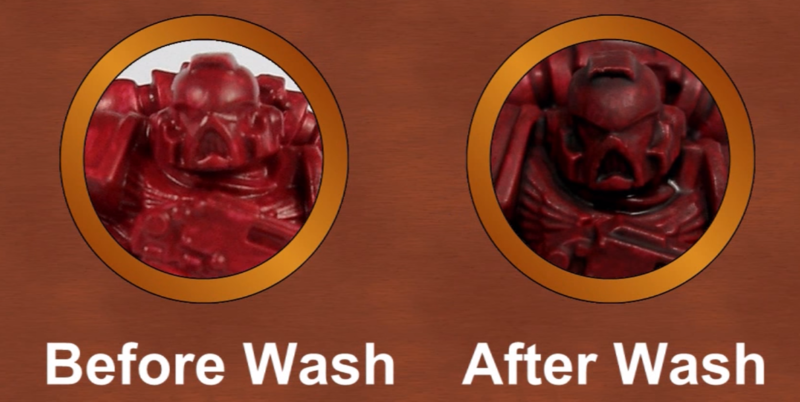 If you head to the campaign page, you will also see that we have added an option for miniatures detail wash to your pledge. This wash is applied in the factory to all the minis (ships, orbitals, ancients, etc. ), which better shows off the details of the sculpts for backers that won't be painting their minis, but want an elevated aesthetic. To do so, manually add $10 to your Terran or Galactic Counselor pledge levels--an additional 108 ships detail washed if you are backing at the highest level. This can also be done later during pledge management. Lautapelit.fi has also been working hard on a playmat for the game. While this has not yet be added as an option to the campaign, we expect it will be finalized by early next week as we await pricing and shipping info. The playmat will be a 90cm X 90cm, two-sided neoprene add-on. One side will be for the basic game setup, while the other addresses the 5-player setup, allowing the two players that are slightly farther from each other to have equal access to the galaxy. And that's all for today. Thanks again for your passion for this project, this game. We will be back later tonight for a quick update on what new has been unlocked on the fourth day of the campaign. The Bearded Lady, Jere Kasanen, and 66 more people like this update. Only to be clear - if I would raise my pledge by $10 and currently I'm on the GC pledge level than I would receive all Terranian ships with a wash - if I'm on the Terran pledge level I would receive all alien ships with a wash? As in this update as well on the campaign page its stated of 'that pledge' as well as 108 ships (on the GC level it would be 216 for the players ship plus the other minis as well). Seems people like the wash option. My wife and I prefer to do the painting on our own. 90cm x 90cm playmat looks great and luckily it fits to our dining table. Now waiting for the price. Jeff, that wash effect looks great. Want to make sure it isn't like the Lords of Hellas sundrop effect. Heard very negative about that. I’m glad to see this campaign going into right direction. I just wish everything would have been revealed in the beginning and funding target would have been set accordingly to accommodate the production costs. At this age and time we are spoiled and used to flashy stretch goals. I still believe that Eclipse appeals more to euro-gamers who put game mechanisms ahead of miniatures. Now it feels like marketing is more geared towards miniatures game than the actual gameplay. I believe many disappointments could have been avoided if the contents of both pledges were just thrown out in the beginning and backers would have known what to expect for their money. I just ordered playmat from 3rd party yesterday since, based on the communication during the campaign, I did not believe we could have an official one. I would rather have supported this campaign with that optional buy instead. Thank you for your continued effort and hard work to make a great game even better. It doesn't go unnoticed and is vey much appreciated! $10 add-on for a wash is a great deal! Thank you! Looking forward to seeing the wash/no wash images! Brass final product is worth the wait!! And a +1 for an extra dice add-on from me, too. Yes, but sometimes failed test copies can cause production and shipping delays (Brass is a sad example for me), thats why I hope Lautapelit already considered specific features of the fabric they've chosen. Can you guarantee consistency with the wash? I made the mistake of getting the wash with Lords of Hellas and it was a joke, highly inconsistent. I'd think any production company worth a damn would make some test copies first. Hope you guys know that neoprene can shrink. Hexes on the playmat might become smaller than the sector tiles after printing. I would also still be interested in an extra dice set add-on, especially if you can make some fancy unique ones (swirly, semi-translucent, bigger, aluminum, etc). Wow, what an awesome update! The wash is a great idea and great price also. Playmat looks awesome. We do not have the final wash images yet, but will share when we do! Is there a sample picture of the wash? There's an extra $10 from me, more once the playmat is officially added I'm sure. Exciting news all around, as someone that doesn't have the skill to paint minis I love the idea of the wash. I think you mean 90cm x 90cm! The minor species mechanic looks cool. I am so happy right now. Well done, team. Great update! !